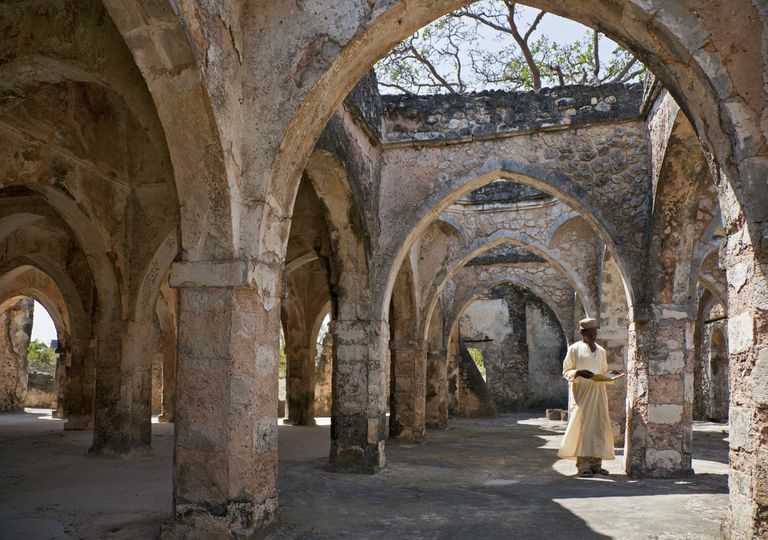 The Kilwa Chronicle is the name of a collected genealogy of the sultans who ruled the Swahili culture from Kilwa. Two texts, one in Arabic and one in Portuguese, were written in the early 1500s, and together they provide a glimpse into the history of the Swahili coast, with particular emphasis on that of Kilwa Kisiwani and its sultans of the Shirazi dynasty. Archaeological excavations at Kilwa and elsewhere have led to a reappraisal of these documents, and it is clear that, as is typical with historical records, the texts are not to be completely trusted as both versions were written or edited with political intent. Regardless of what we today consider the reliability of the documents, they were used as manifestos, created from oral traditions by rulers who followed the Shirazi dynasty to legitimize their authority. Scholars have come to recognize the chronicle's semi-mythical aspect, and the Bantu roots of the Swahili language and culture have become less clouded by the Persian mythologies. The Arabic version of the Kilwa chronicle called Kitab al-Sulwa, is a manuscript currently housed in the British Museum. According to Saad (1979), it was compiled by an unknown author about 1520. According to its introduction, the Kitab consists of a rough draft of seven chapters of a proposed ten chapter book. Notations in the margins of the manuscript indicate that its author was still conducting research. Some of the omissions refer to a controversial mid-14th-century document which may have been censored prior to reaching its unknown author. The original manuscript ends abruptly in the middle of the seventh chapter, with the notation "here ends what I found". The Portuguese document was also prepared by an unknown author, and the text was supplemented by the Portuguese historian Joao de Barros [1496-1570] in 1550. According to Saad (1979), the Portuguese account was likely collected and provided to the Portuguese government during their occupation of Kilwa between 1505 and 1512. Compared to the Arabic version, the genealogy in the Portuguese account purposefully obscures the royal ancestry of Ibrahim bin Sulaiman, a political opponent of the Portuguese-backed sultan at the time. The ploy failed, and the Portuguese were forced to leave Kilwa in 1512. Saad believed that the genealogy at the heart of both manuscripts might have been begun as early as the first rulers of the Mahdali dynasty, circa 1300. The traditional legend for the rise of the Swahili culture comes from the Kilwa Chronicle, which states that the Kilwa state rose as a result of an influx of Persian sultans who entered Kilwa in the 10th century. Chittick (1968) revised the entry date to about 200 years later, and most scholars today are of the opinion that immigration from Persia is overstated. The Chronicle (as described in Elkiss) includes an origins legend that describes emigration of the sultans of Shiraz into the Swahili coast and their founding of Kilwa. The Arabic version of the chronicle describes the first sultan of Kilwa, Ali ibn Hasan, as a Shiraz prince who with his six sons left Persia for east Africa because he had dreamed that his country was about to fall. Ali decided to establish his new state on the island of Kilwa Kisiwani and purchased the island from the African king who lived there. The chronicles say Ali fortified Kilwa and increased the flow of trade to the island, expanding Kilwa by capturing the adjacent island of Mafia. The sultan was advised by councils of princes, elders, and members of the ruling house, likely controlling the religious and military offices of the state. Ali's descendants had varied success, say the chronicles: some were deposed, one beheaded, and one thrown down a well. The sultans discovered the gold trade from Sofala by accident (a lost fisherman ran across a merchant ship bearing gold, and related the story when he returned home). Kilwa combined force and diplomacy to take over the port at Sofala and began charging exorbitant​ custom duties on all comers. From those profits, Kilwa began constructing its stone architecture. By now, in the 12th century (according to the chronicles), Kilwa's political structure included the sultan and the royal family, an emir (military leader), a wazir (prime minister), a muhtasib (police chief), and a kadhi (chief justice); minor functionaries included resident governors, tax collectors, and official auditors. The following is a list of Shiraz dynasty sultans, according to the Arabic version of the Kilwa Chronicle as published in Chittick (1965). Chittick (1965) was of the opinion that the dates in the Kilwa chronicle were too early, and the. Shirazi dynasty began no earlier than the late 12th century. A hoard of coins found at Mtambwe. Mkuu have provided support for the start of the Shirazi dynasty as the 11th century. The Periplus of the Erythrean Sea (Periplus Maris Erythrae) 40 AD, a travel guide written by an unnamed Greek sailor, mentioned visiting the eastern coast of Africa. The Islamic biographer and geographer Yaqut al-Hamawi [1179-1229], wrote about Mogadishu in the 13th century, describing it as a frontier between Barbar and Zanj, visited Zanzibar and Pemba islands. The Moroccan scholar Ib'n Battuta visited in 1331, and, 20 years later wrote a memoir including this visit. He describes Mogadishu, Kilwa, and Mombasa. Chittick HN. 1965. The 'Shirazi' Colonization of East Africa. Journal of African History 6(3):275-294. Chittick HN. 1968. Ibn Battuta and east Africa. Journal de la Société des Africanistes 38:239-241. Elkiss TH. 1973. Kilwa Kisiwani: The Rise of an East African City-State. African Studies Review 16(1):119-130. Saad E. 1979. Kilwa Dynastic Historiography: A Critical Study. History in Africa 6:177-207. Wynne-Jones S. 2007. Creating urban communities at Kilwa Kisiwani, Tanzania, AD 800-1300. Antiquity 81:368-380. When Did the Swahili Coast Traders and Sultans Flourish?